Documentation and SupportReleases Mango Release Notes 2016-11-12Excel365 Connector Now Available. 1. 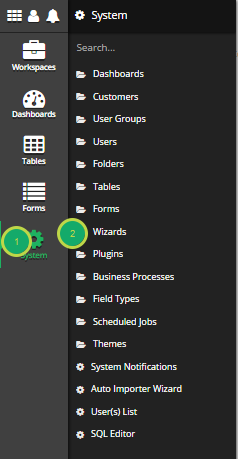 Navigate to the 'Wizards' System Tool. 3. 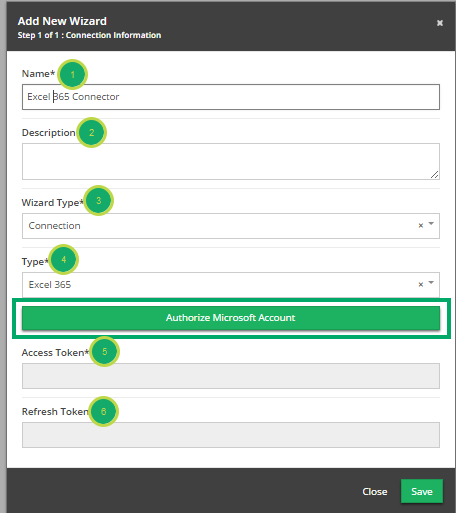 Fill out information in 'Add New Wizard' modal. Access Token: Received after Authorization. Refresh Token: Received after Authorization. 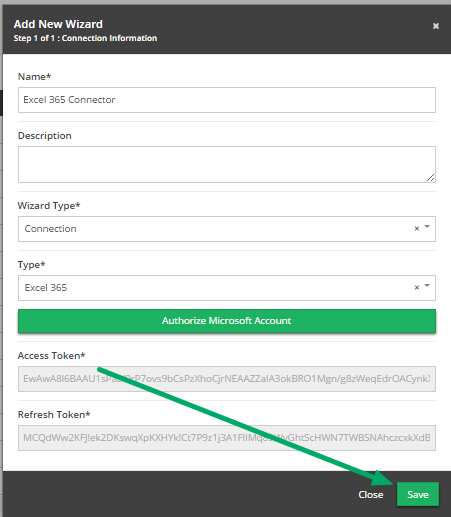 Click 'Authorize Microsoft Account' to populate 'Access Token' and 'Refresh Token'. 5. Click Save to complete the Wizard. 6. 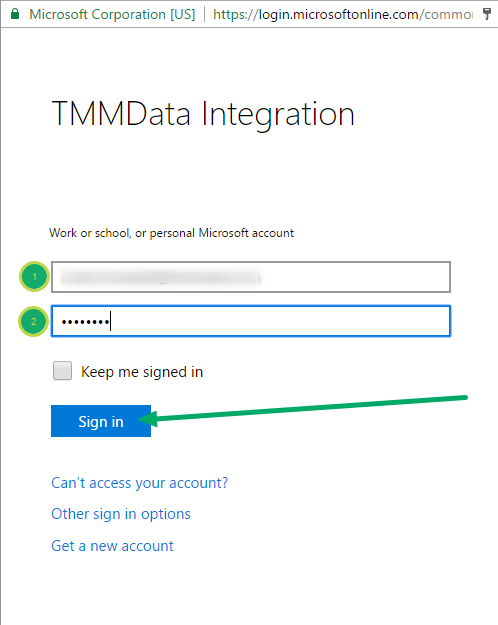 Congratulations, you have created an Excel 365 connection. 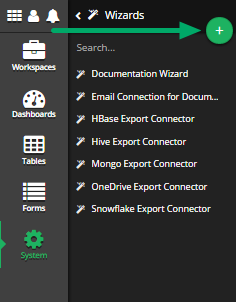 Next: Oracle Export Connector Now Available.